Magdalena Tyżlik-Carver is Assistant Professor in the Dept. of Digital Design and Information Studies at the School of Communication and Culture at Aarhus University (DK). She is also an independent curator based in UK and Denmark. Recent curated exhibitions and events include Movement Code Notation (2018), Corrupting Data (2017), Ghost Factory: performative exhibition with humans and machines (2015), Common Practice (2010, 2013). She is co-editor (with Helen Pritchard and Eric Snodgrass) of Executing Practices (2017) a collection of essays by artists, programmers, theorists engaging in critical intervention into the broad concept of execution in software. She is a member of Critical Software Thing group and a member of editorial board for Data Browser series. She is also Associate Researcher with Centre for the Study of the Networked Image at the London South Bank University. 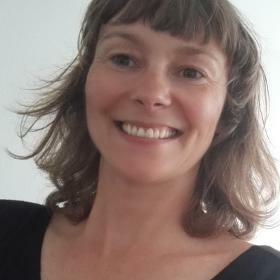 Before joining Aarhus University in 2017, Magda was postdoctoral researcher with Centre for the Study of the Networked Image at the London South Bank University. In 2016 she was awarded Arts and Humanities Research Council (UK) Cultural Engagement Research Fellow at the school of Media, Film and Music, University of Sussex where she was part of Remote Intimacy collaborative project in collaboration with Fabrica, a contemporary art gallery in Brighton. Her contribution to this project included research on Ecologies of Intimacy (https://ecologiesofintimacy.wordpress.com/).